According to the notes that I received from John Broughton, 5 copies of the C-35 were built during 1975. 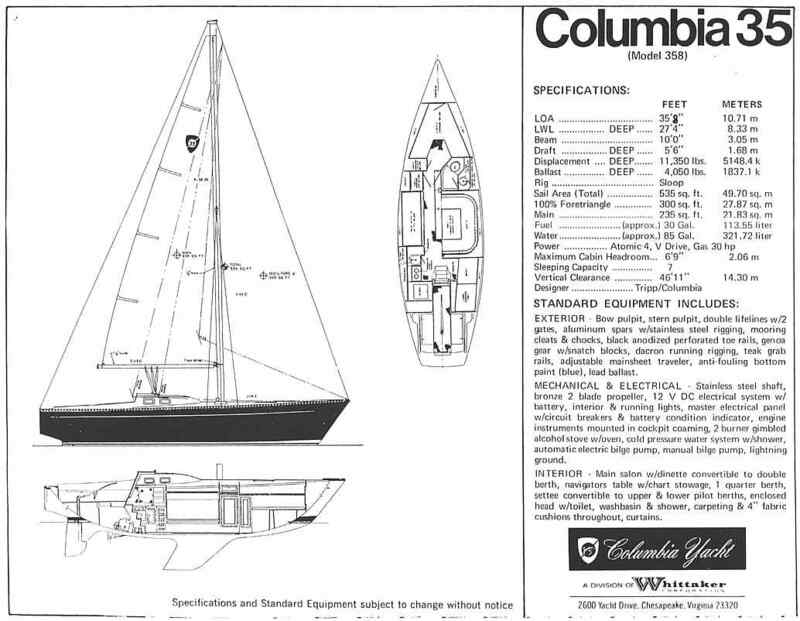 A friend of mine recently spotted an ad for a "Columbia 38", but when I looked at the specs I realized immediately the boat was a 35' LOA model. I contacted John Broughton and he confirmed that model 358 was, indeed, the C-35. Here is a picture of one of the C-35s. 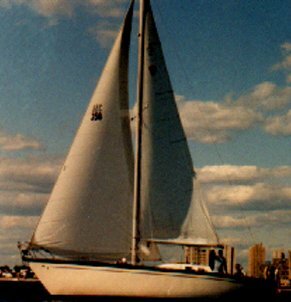 Length Overall:   35' 8"            35' 8"             35' 8"
Draft:    5' 6"             5' 6"              5' 6"
Headroom:    6' 8"             6' 3"              6' 9"
C-35 Diagram and spec sheet. John Broughton went on to explain that Columbia took the the C34 hull, cut down the shear and took out the stern plug in the C34 mold. They made the transom go out instead of being inverted. There was a problem with the original mold and the port side of hull #1 is not as rounded as the starboard side. He goes on to state that it was so flat that they put that side of the boat against the wall at a boat show so it would not be noticed.